Piano vs Guitar The Ultimate Comparison: Which One Is Right For You? 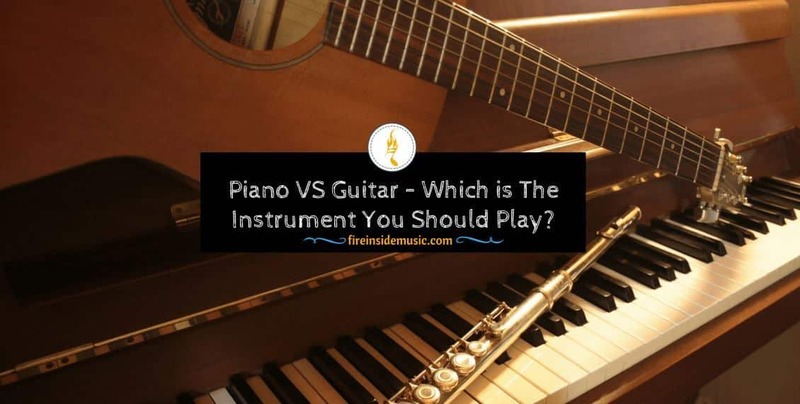 Piano vs Guitar – Which is The Instrument You Should Play? Have you ever imagine that we are living without music? I don’t know how boring our life is, especially in stressful and rush lifestyle. Playing or learning playing an instrument is one of the best ways to enjoy and relax after hard-working days. In addition to bringing down stress, it also brings thousands of great benefits such as: making you more confident, smarter, improving your memory and your social life as well. However, choosing an instrument to play or to learn has never been simple in the various instrument markets. Here, my article will give you some details about piano vs guitar – two most popular instruments played in the world. I believe after reading the whole article; you will have your right decision. Piano vs Guitar: What Are The Main Factors Making The Different Sound? 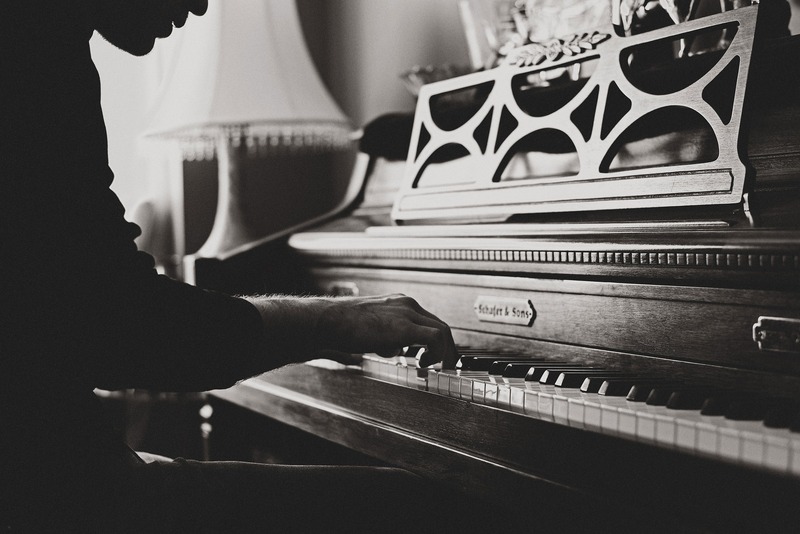 Piano Vs Guitar: Which Has The Better Instant Gratification? The Best Instrument Should Meet Your Genres-Of-Music Requirement? The piano body has the glued soundboard. The frame of it also has probably 230 steel strings, which can provide the total tension up to 20 tons. This is supported by a hard metal frame. These strings with 20 various diameters going with ranges of keyboard’s notes have been strung individually for the bass, treble and tenor ranges. When you press the key, a hammer inside will hit the strings below. This generates the soft sound. In the end, bridges attached to the soundboard can support under strings. Through the bridges, the vibrations can be transmitted and result in the loud sound. While the guitar has two parts: the neck and body. Strings connect the neck to the body. A string causes the vibration from the bridge, which can resonate from the top of the guitar. This vibration leads to the back and side of the guitar. And the sound can be created from the hole by resonating from the air in guitar’s body. 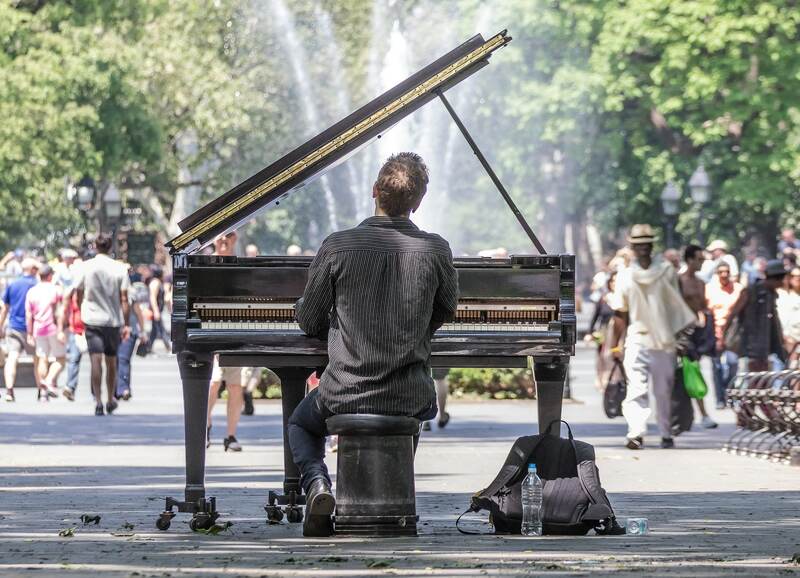 Most people who experience learning two kinds of the instrument: piano and guitar say that learning and memorizing notes on the piano is quite easier than on guitar. Understanding musical patterns on the piano is also simpler for beginners. The musical patterns are often repeated across all keys on a piano. 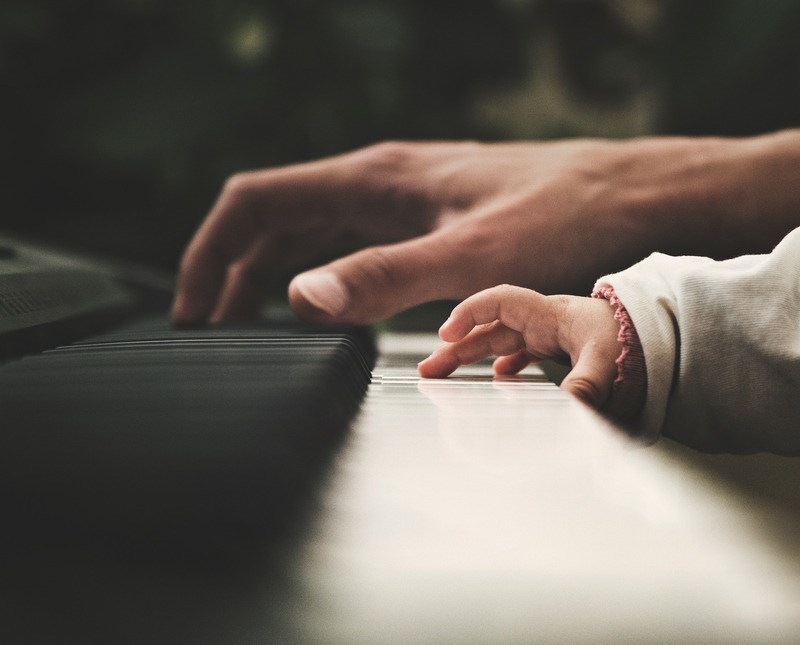 Piano teachers often teach their students – if students are adults, they will teach with a total of 7 white keys and all total of 5 black keys for children. Until all of the basic lessons are mastered, the student can come into play the rest of the notes. It’s also easier for reading piano music sheet when you play the piano; your hands will move long all piano keys. With the downwards notes on the music sheet, you know to move your hand to the left. The measurable intervals between the notes on the piano can be identified easily. In general, most people can play some pattern-based songs within their first learning month. While the note patterns on the piano are simple, they are rather complex on guitar. Each guitar string has a different note arrangement. How to identify which guitar string for higher or lower pitch should be used is not easy for beginners. Unlike the piano, you need to tune the guitar before playing. This is quite important to be mastered. If you can’t do it on your own, you will wait until seeing your guitar teacher and have him or her tune for your guitar. If you are a piano learning beginner, you should learn notes and scales of piano firstly to play melodies then chords. Chords are built up from the combinations of the different notes. The way of learning scales before chords will make the music theory approach more chronological. While on guitar, we often use a capo to change keys, we use the transposing key theory on piano. Don’t worry about all this. Piano’s linear layout will result in the perfect visual aid thanks to its well lending toward music theory. However, if you want to play your favorite songs by yourself on piano, it may take a longer time than on guitar. Commonly, for those who want to play a song immediately, they will tend to choose a guitar than piano. Once you only know the right chords, you can find songs easier to play because the guitar sound appears in the most pop song. In addition, if you want to adjust the sound to fit your vocal range, you can use the key by an attached capo and the same chord shapes. This is the most way used by most guitarists, but in fact, the capo isn’t necessary for guitar’s changing keys. 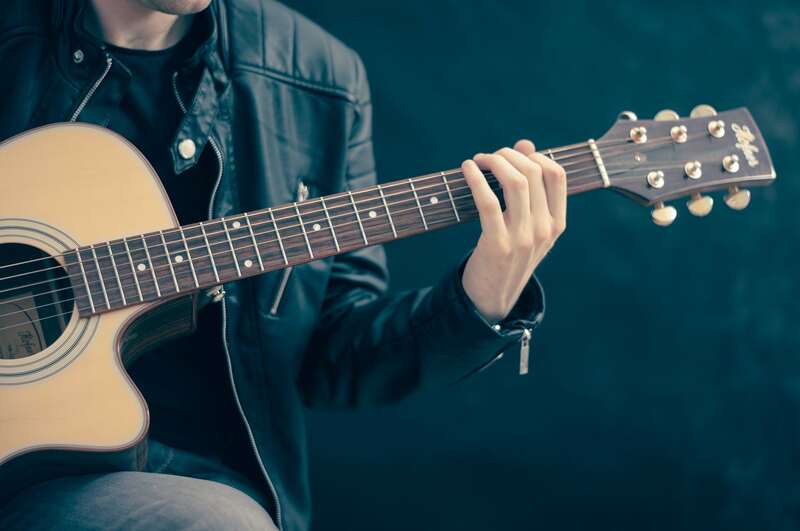 Fingerpicking is one of the basic techniques for everyone who wants to learn any musical instrument. Many people feel that fingerpicking is quite complex, but you also can play with some simple fingerpicking styles. There are many patterns, so you can find one suiting your want-to-playing songs. About the guitar, you should notice the position of right-hand fingers. For example, put your big finger to pick the low string E, A, D – string, your index finger on G – string, the middle one on string B and the ring on high string E.
You could use the thumb to play quarter notes as you control between the bottoms of three strings, then use the finger to take your string. You will use the index finger to play quarter notes that are on the top of three strings. To have the best result, you should combine your thumb, and your fingers exercise together. Your thumb will pick the low E string, and your fingers are used to pick B, G and E strings. Rolling technique is more difficult and challenging exercise. This is going up and down action when you play a chord. This action maybe takes you a long time to master. To perform rolling up exercise, you should use 4 fingers (except tiny finger) to start slowly. This will bring your dexterity. And for rolling down, it requires a little challenge due to doing the same thing with the other direction. This will improve your speed slowly by playing with a metronome. You can apply this rolling technique to any chord. However, notice the chord you play may have the different strings. About playing piano, you should keep your appropriate finger posture to make you play more comfortably and beautiful sound. Keep your fingers not too flat and your knuckles not too straightened. Keep your elbows, your arms and shoulder relaxed to avoid any inconvenience during your playing time. Many beginners have some mistakes when they start playing the piano. They often use the arm and wrist rather than their fingers. This will not only increase the unnecessary tension, but also lessen the speed and accuracy, or create accents on the unwritten beats which can cause the overly-rhythmic sound. Moving up and down Penta-scale. Playing skip notes between each note. Playing with a solid finger position: lift your hand, but still keep the fingers position, then drop onto the key. Over legato: that means each note will overlap with the subsequent one. This can control each finger individually. Full scale (1 or 2 octaves): In C major scale, when you play the first D with the index finger of the right hand, then prepare the big finger immediately near the F note. This will improve your speed and accuracy considerably when playing piano. Playing two notes with one hand in the same time. Using the piano technique book of Hanon and Czerny: This book will promote your playing ability significantly. Most people experiencing both piano and guitar lessons think that piano creates more instant gratification than guitar. 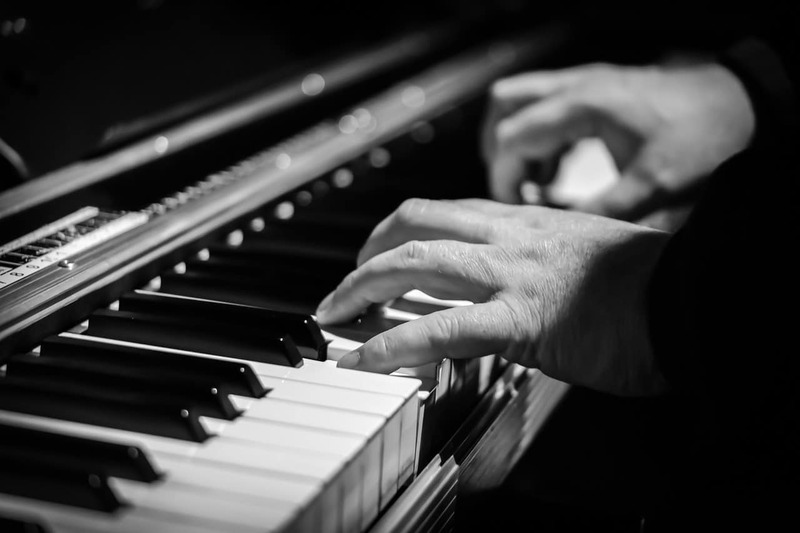 All simple things you should do to play a note are sitting up straight at the piano location, picking up your wrists, gently moving your fingers and pressing a key. A great sound will appear audibly. However, when you play the notes in fingers and hands difference with rhythmical independence, the piano may likely become more complicated. 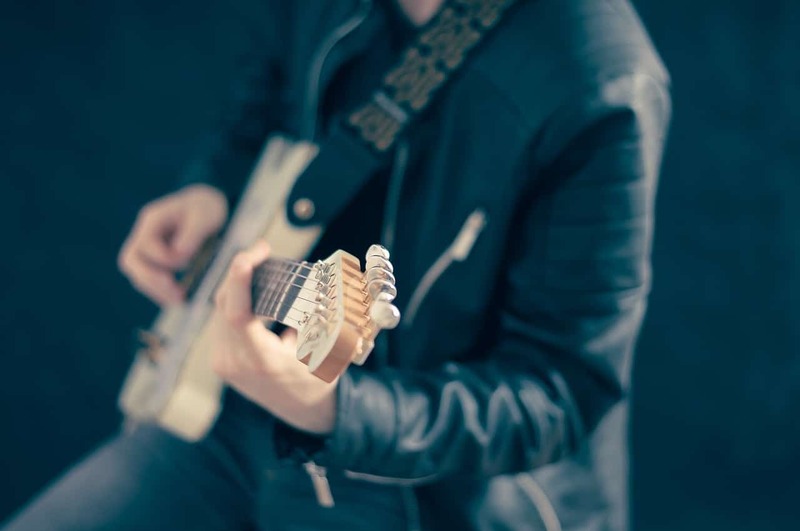 For guitar with the more involved coordination, in the beginning, you have to know how to pluck and fret the string with no lessening the sound. While at the beginning of learning the piano, you don’t use two hands immediately. When piano students achieve the necessary coordinator – using two hands on the keys and playing various chords and melodies, their learning will slow down. While guitar students may find more easy to play over time. They can understand chords and play some favorite songs quickly than piano. Of course, this depends on the learning ability of each student. An appropriate instrument is one of the factors that can help students to learn quickly and easily. Price of anything is often the determining factors whether you should choose or not. Anyone also wants to choose a product that not only has good-quality but also fits their pockets. Most people think that the piano is a lot more expensive than guitar. However, it depends on the sound quality and playability. Commonly, a good guitar for beginners costs around from $100 to $200. Over many years, guitars have more affordable and competitive price with both online and local musical instrument stores. I highly recommend that you should try playing to test its sound quality before buying. If you can afford a higher price guitar, maybe from $300 to $500, it will bring you the considerable better quality in both sound and playability. Most advanced guitarists will choose the more expensive guitar, perhaps $500 - $1000. In this case, you can believe that you will get the quality as you pay. The piano also has a various price range, also depending on the quality and machine of it. If you are the beginners, you should choose a piano for beginners with the price range under $300. This price range is often determined by the number of keys on a piano or the type of keys such as: weighted or non-weighted. I highly recommend beginners like you should buy a piano with 61 keys. If your ability reaches a higher level, you will play the songs with a greater range. Hence, a digital piano or a piano with full size and 88 keys is necessary to meet your demand. A digital piano with replicate design often has $500 - $1000 range price, which can provide more closely feel and sound. Moreover, if you can afford an acoustic piano, little more than $1500, you should pick one up for yourself. This outstanding investment will not let you down; especially since you want to learn seriously. If you are seeking a piano or guitar for yourself and know nothing how to choose the best instrument, you should define your favorite genres of music. Because each individual has different demand, I can’t guarantee which is the best for you. That depends on your demand. To choose the best piano or guitar, people should base on the technical features, price, and portability of each instrument. 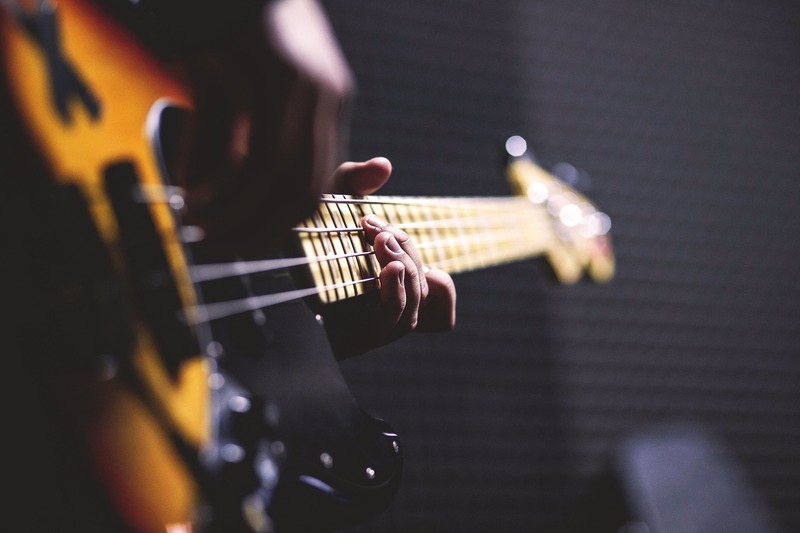 In addition, each instrument type typically goes with a genre of music. For people preferring classical music, they tend to choose piano more than guitar. 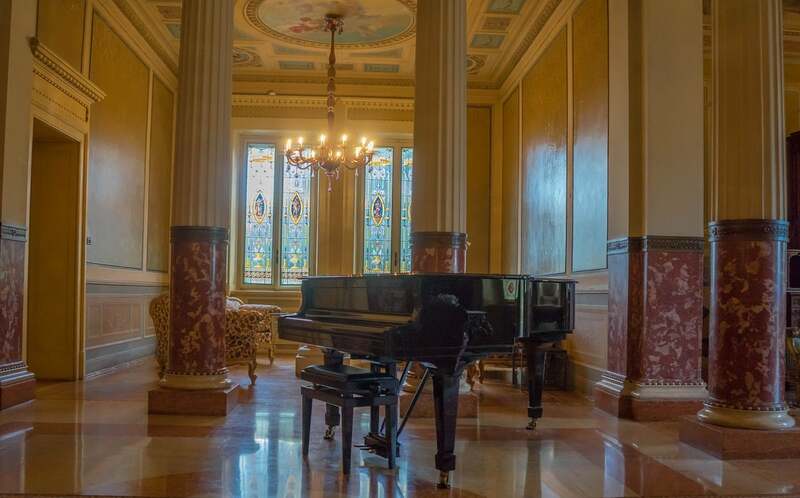 The piano has the rich history of classical music. Thanks to this, you can explore classical compositions during the learning process. Similar to another musical instrument, you can hear piano tunes in many genres of music, but in general, pop music is the most popular with this kind of instrument. Most rock musician commonly chooses a guitar to play their songs more than piano. 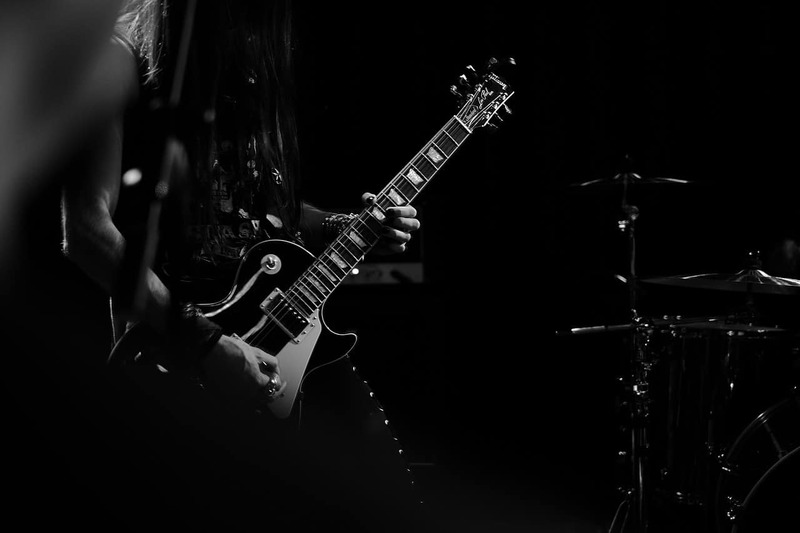 Rock music from guitar sounds extremely more amazing than any other instrument. However, that doesn’t mean that guitar only is suitable for rock music as most people think. Rock is just its specific sound. 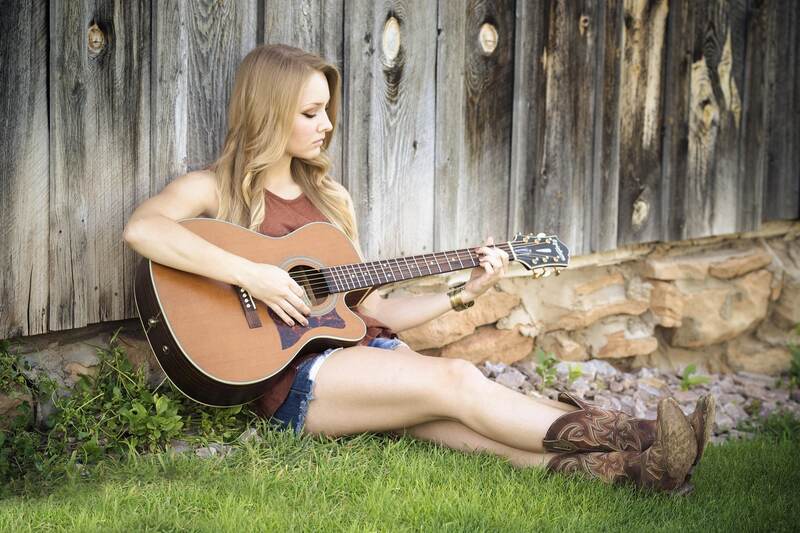 Acoustic guitar also is popular with other genres. If you are frequently moving a person with your instrument, the guitar is the best option for you. With the most portable musical instrument, you can bring your guitar anywhere you want, maybe on road or public transportation. Even airplanes, it’s not a problem because you can store your guitar in overhead compartments. With the large diversity of portable, lightweight and small guitars such as mini, travel or backpacker, that will fit your moving demand. When you go camping with your friends, a portable guitar will make the wonderful entertainment. It sounds fantastic and impressive. Why don’t you try now? 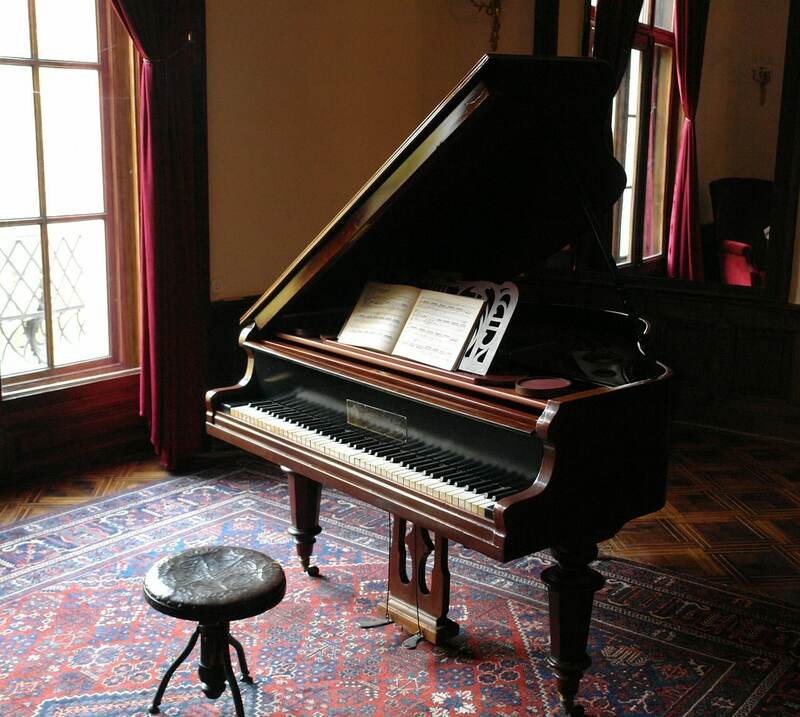 Of course, the piano also has the various size with specific features. You can buy one fitting your needs. If you want to find a guitar with the smallest size and the most lightweight, you can turn mini controllers with a couple of octaves into all 88 keys. However, if you want your piano to produce the sound, you have to plug it into a computer. In general, the piano has the limitation in portable option. You can’t move it to anywhere conveniently like a guitar. In spite of its great performance, it’s not the best option for moving. However, manufacturers also meet music players’ demand by supplying portable piano. With the informative differences between piano vs guitar, I can’t tell exactly you either piano or guitar is right for you. Only you know personally which one is the best for yourself. I hope you will have a smart investment of your money and time on your own. Playing any instrument will make your life more beautiful and colorful. It not only helps you to explore your creativity but also make you more confident with many people. I also recommend you some highly rated piano and guitar with the hope that your look – for – good – instrument journey become easier. If you have any question, do not hesitate to comment or send me an e-mail. I’m really happy with your interaction.